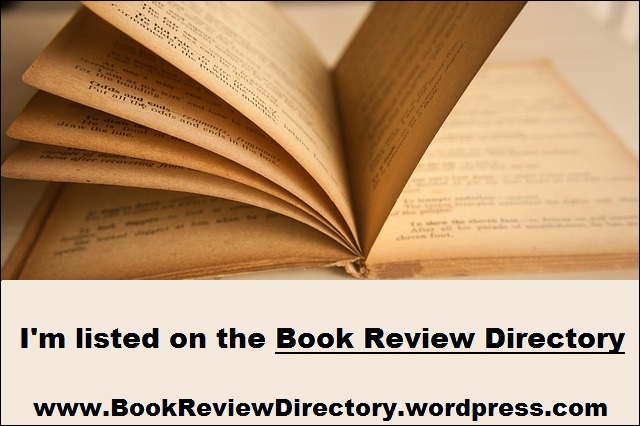 book reviews | Bibliophibian Inc. If you know what to expect from Phryne Fisher, then this won’t really be a surprise. It’s not particularly remarkable among the other books of the series, bar a slightly less stereotyped version of a queer couple which even includes a bisexual; it’s Phryne, being awesome, not letting anyone get away with prejudice versus her Chinese lover, solving a country house mystery. The more I think about it, the more I see the various books as echoing, mirroring, making homage to other detective stories, particularly Golden Age ones. Which kind of adds an additional level of fun, if you try to play “spot the reference”. As with the other books, I find it very relaxing and fun, even when the characters are in some danger. Cosy mystery — partly because I know Dot and Phryne and the other characters I care about are going to be alright. I wonder if, just once, Greenwood has Phryne sleep with the murderer unknowing, or has one of her lovers genuinely threatened… That might raise the stakes a little. Once I read some reviews pointing out this is essentially a novel about a fantasy version of Vietnam, “slyts” and all, I couldn’t unsee it. I found it surprisingly absorbing at first, though I’m generally not that interested in war stories. There are some amazing bits of description — mostly gross, but it still makes you really feel the world in which the characters live, the heat and dirt, the discomfort of riding a dragon, the futility of the fight. But… the dull grind of it started to get to me. When they talk about this being anything like Tolkien, they really mean just because it’s got dragons. It’s basically a very thinly veiled version of Vietnam. Everything’s dirty and futile and there’s no justice in it. I couldn’t keep track of the characters, given their fantasy-fied names (which made me wonder if Evans actually bothered thinking about the language these people speak and what their naming conventions are, because I couldn’t really detect patterns), and I just… lost interest. If you’re into war novels, though, it might be more up your alley. 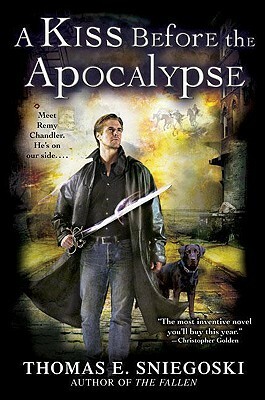 It’s definitely more Abercrombie than Tolkien in terms of tone, though. If you’re reading this for the dragons… to me, they were just a prop, a way of making the Vietnam War into a fantasy war. Eighth book for the readathon in 2011. I was having to force myself to read the seventh book, but this was fun and absorbing, so I had no problems with falling asleep. As might be predicted for me, I loved the references to Raymond Chandler (the detective is called Remy Chandler; his dog is Marlowe). I also loved the fact that in my head, Remy totally looked like Castiel from Supernatural, as portrayed by Misha Collins. A Kiss Before the Apocalypse is basically the story of a sort-of-fallen angel who works as a private investigator, and who then finds himself caught up in investigating where the Angel of Death has got to and who wants to start the apocalypse. His closest sidekick is his dog, and not his cop friend, which was not what I expected — I wish supporting characters had been used better, actually. Francis and Lazarus were amazing. He should’ve used ’em and abused ’em. The thing that I liked most was the relationship between him and his aged wife — given that, being an angel, he can’t age — and the tenderness between them, even when to outsiders she appears old enough to be his mother. I love Remy’s devotion to her. Nothing amazingly special, but a fun (and quick) read.